Take your support for an organization to the next level, by creating your own peer-to-peer fundraising page for an organization's campaign, event, or Giving Day profile. For events, skip ahead to Step 2. For campaigns and Giving Days, simply select the "Start Fundraising" or "Fundraise" button to create your page. 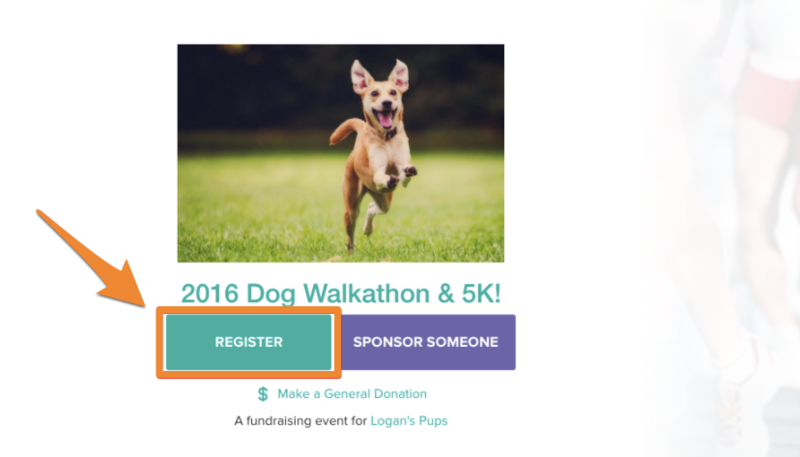 Only event registrants can create a fundraising page for an organization's event page. Begin the process by selecting the "Register" button. 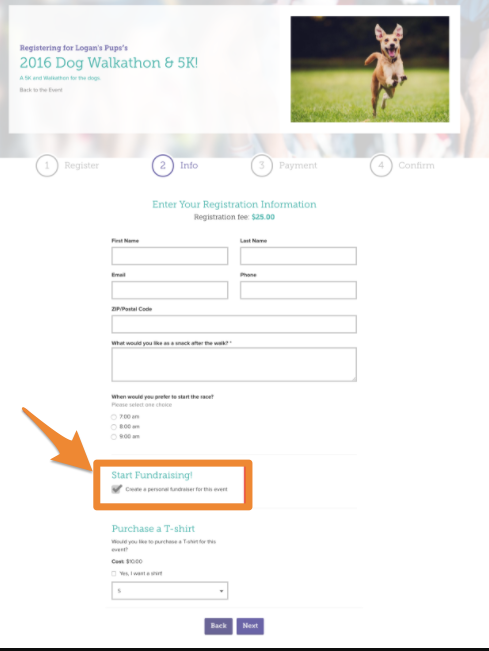 From the second page of your registration form, check the box titled "Create a personal fundraiser for this event." Once you've completed the registration process, a personal peer-to-peer fundraising page will be created for you. Once your peer-to-peer fundraising page has been created, you'll land on your P2P Fundraising Toolkit. Learn more about the features of your P2P Fundraising Toolkit here!